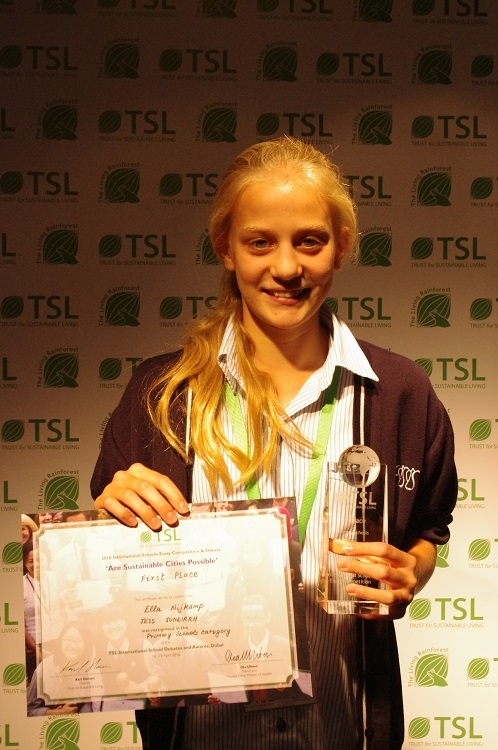 The Trust for Sustainable Living (TSL), based in the United Kingdom, is pleased to announce the Grand Prize winner and runners-up in the TSL 2016 International Schools Essay Competition. 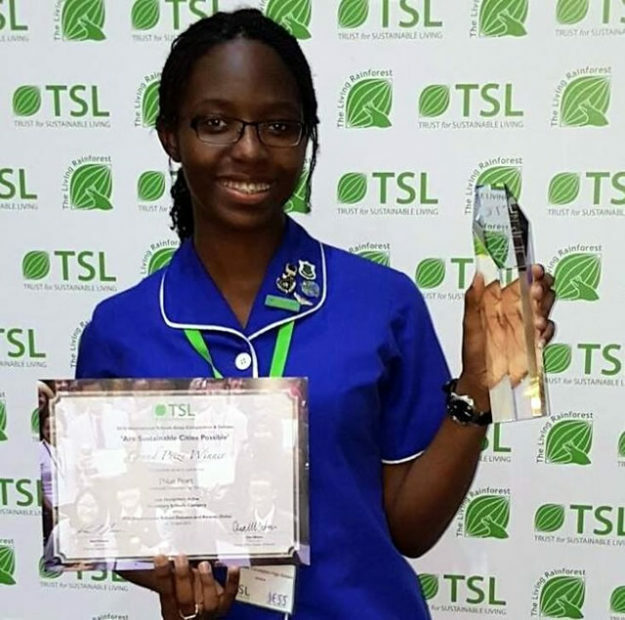 J’Nae Peart (Immaculate Conception High School, Jamaica) collected the 2016 Grand Prize at the TSL International Schools Debates and Awards in Dubai, UAE (17-21 April 2016). The Grand Prize Winner, J’Nae Peart from Immaculate Conception High School, Jamaica, wrote that sustainable cities “are necessary for our future” even if it won’t be easy to achieve them. “Brick by brick we can build a global ecological utopia, an Earth 2.0. So, are sustainable cities possible? Yes they are, and they are on their way,” she wrote. The overall Grand Prize winner, 1st Prize Winners per category and 2nd, 3rd, 4th and 5th placed winners in each category received their trophies and medals at the International Schools Debate and Awards Ceremony in Dubai on the 18th and 19thApril 2016. Further details on the TSL International Schools Essay Competition and Debate, including programme and registration instructions, are available at trustforsustainableliving.org/take-part/international-schools-essay-competition-and-debate.